AIR WALLET would like to announce the revision of our Token Metrics and changes to the token distribution for our Bounty Campaign. When AIR WALLET first started, a token metrics was calculated and put in place according to the then current conditions of the market and our plans for the AIR Token ICO. In the months since our incorporation, following the maturing of our company and changes in the market conditions, AIR WALLET has decided to revise our Token Metrics. Over the course of the past few months we have had the most amazing help from our bounty campaign participants, that helped to ensure that our project could reach people across the globe. At the start of our bounty campaign, the AIR WALLET team calculated an estimated USD amount from the previous token metrics and allocated a fair percentage of our supply in accordance to it. Close to the finish of our bounty campaign, a new token metrics was needed to prepare for our upcoming Token Sale, which will be held on Trebit Exchange. This created a discrepancy from the previous FIAT calculated bounty campaign token pool. We understand the frustration and confusion that these changes may have caused our bounty participants. Therefore, we have changed the number of tokens that will be allocated towards our bounty pool. AIR WALLET has decided to allocate 4% (160M AIR) of our total supply, instead of the previous 1.2%, to be distributed per stakes, held throughout our bounty campaign. Additionally, due to the new allocation under our “Capital Increase Airdrop,” all AIR Token holders will receive a percentage of tokens from our “Capital Increase Airdrop” pool amounting to 20% of AIR Token’s total supply, within 3 days after the successful completion of AIR WALLET’s Token Sale and IEO rounds. Example: Bounty pool distribution based on full completion of Token Sale and Token Sale price. 160,000,000 AIR (160M) *1.7 = 272,000,000 AIR (272M) Worth 272,000 USD based on the Token Sale price of 0.001 USD. AIR WALLET understands the value of our Tokens and digital assets and have carefully crafted a new solution for our bounty campaign pool. We will be working hard to ensure the stability of the value of our Tokens so that AIR can become a stable foundation and the forefront of AIR WALLET’s ecosystem. 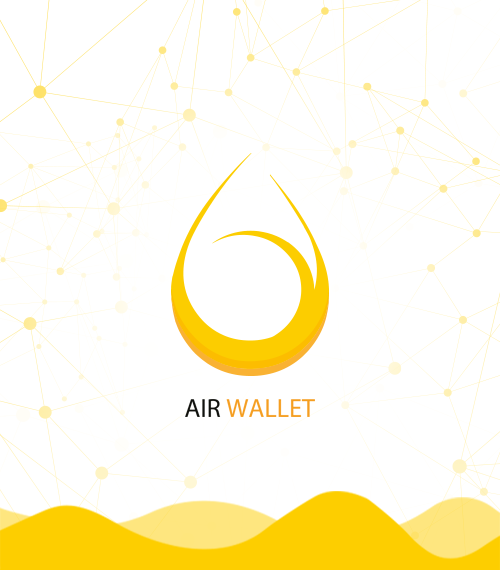 AIR WALLET will deliver a secure platform and grow into an unstoppable force to ensure that all AIR Token holders will be satisfied with the value of both our Tokens and platform.